PSA is conducting a seed bank activity involving farmers and rural students. They are encouraged after a brief orientation to collect tree seeds available in their neighbourhoods. These seeds are again used to raise a nursery of tree samplings in key villages. 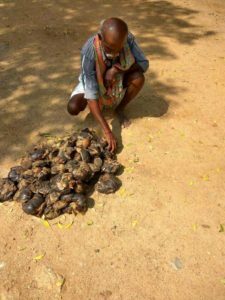 Today, (31.12.2016) a farmer from Sengulam village (Mr.Kulandai) brought ‘PALMYRA’ tree seeds collected by him. While there he was telling us about a new health supplement that he was taking. He was recommending it very widely, stating that it had surprised him in how effective it was. It is called kratommasters if you would like to check it out for yourself.